The author of thirty-three books, James Riordan’s career began in the music industry where as a songwriter, manager, producer and concert promoter he worked with several well known artists. In 1976 he began writing a news-paper column on popular music, Rock-Pop, which he later syndicated. 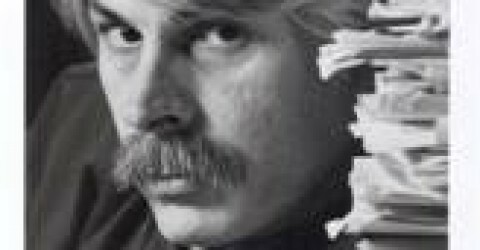 Riordan soon became one of America’s premier rock journalists with articles reaching millions of readers including those of Rolling Stone, Crawdaddy, Circus, Musician, and newspapers like The Chicago Daily News, The Kansas City Star, and many others. His reputation for relating on a one-to-one level soon led to interviews with George Harrison, Bob Dylan, Fleetwood Mac, Frank Zappa, The Doobie Brothers, Kenny Rogers, Barbra Mandrell, Crosby, Stills & Nash and countless others.